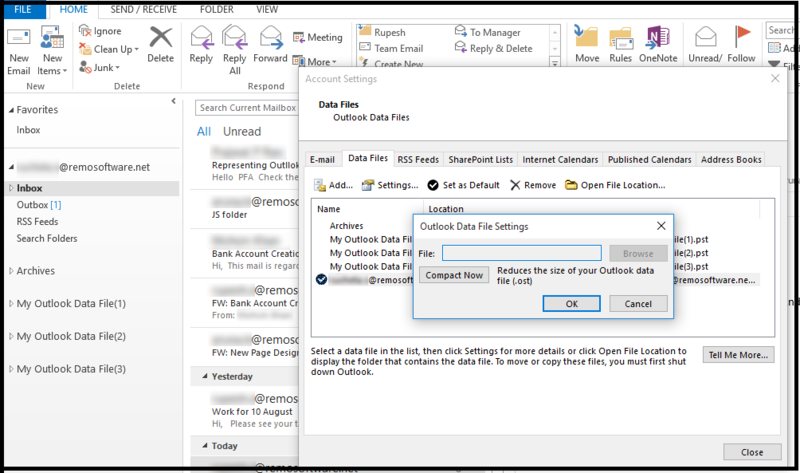 Compacting Outlook Data File is one of the most efficient ways to organize and de-clutter files. You have been using Outlook for a considerable amount of time. 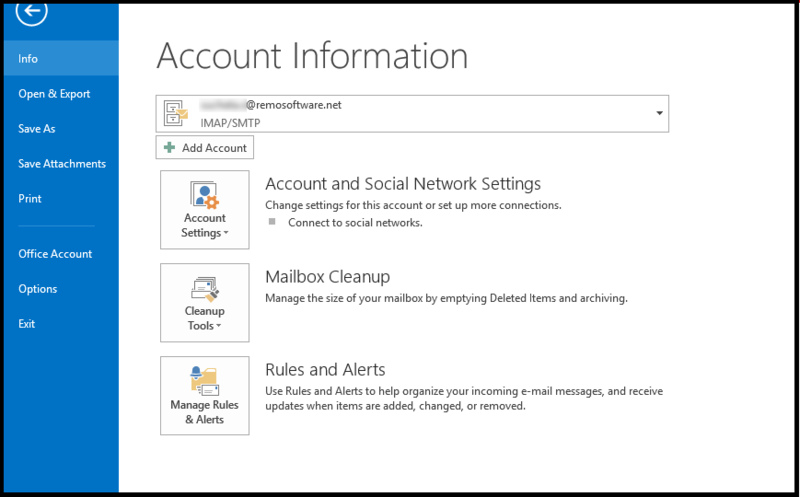 As time goes by, data on your Outlook keeps piling. ‘Piling on’ of data can result to increase in the size of PST files. With time, these files can easily grow into several gigabytes especially if the large file attachments are stored with their messages. Therefore, it can be concluded that your Outlook data file can occupy a significant amount of space on your system’s hard drive. Large outlook files can also lead to slow or prolonged start-up, navigation and shut down of Outlook. Now, where and why does compacting plays a role? When we are compacting any folder, we are freeing any kind of wasted space. In simple terms, it is a means to de-clutter by deleting unwanted things from the .pst and .ost files. Deleting is followed by shrinking the size of these files. It is needed because the database files will naturally keep growing and this will hamper the performance of Outlook. Note: When you compact a large .pst file, it deletes unnecessary stuffs from the file and then shrinks the size. However, due to some mishaps, this procedure can go wrong and files can get damaged. Read here on how to repair PST after compacting failure. Step 1: Launch and open MS Outlook. Step 3: From the “Account Settings” dialog box, click on ‘Data files’. Step 4: Then, you will see a list of all your PST files. Click on “Settings”. Step 5: Click on ‘Compact Now’. Step 6: Finally click on ‘OK’ and close the box. The thing about having large PST files is that it’s difficult to figure it out when it is going to strike back until it piles up so big and one day your Outlook stuck in between. It’ll take only a few minutes to lose everything – your contacts, emails, calendar etc.. It’s easy to be ignorant and lose everything, once it was gone, its’ gone forever. So take this guide seriously and follow the steps to compact oversized PST file, before it is too late. Or if it is already been late and you’re on the verge of loosing data; try out PST Repair tool to repair an oversized PST file.